Liberty, Justice and Pancakes for All! Fourth of July is one of the most widely celebrated holidays in America. The day remembers the signing of the Declaration of Independence; a historic document that is vital to the American Independence today. From 1776, 4th of July has been celebrated mostly with fireworks, family gatherings and parades. 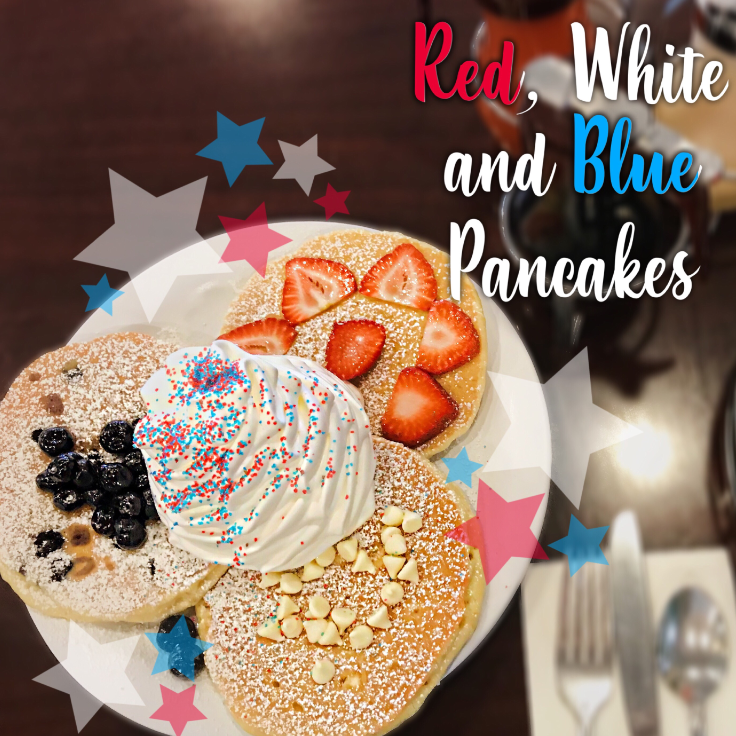 We’re joining in on the festivities Eggs ‘n Things style with our Red, White and Blue Pancakes! This wonderful trio of pancakes has fresh strawberry, white chocolate chips, and blueberries topped off with our whipped cream and red and blue sugar sprinkled on top. These pancakes will definitely get you into the Spirit of Freedom! Available from July 03-July 05 2018.